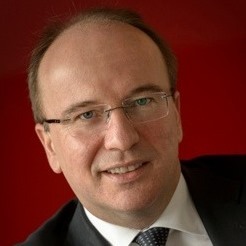 Agostino Santoni is the General Manager for Cisco Italy. He resumed the country leadership role in 2012. He joins Cisco from SAP software, maintenance and consulting-related services, where he was Managing Director for Italy with full operational responsibility. Prior to that, Agostino was at HP Italy for several years, where he held executive positions as Vice President of their Enterprise business and Vice President of their Personal System Group. Agostino Santoni brings a wealth of experience from 20 years in the Italian IT industry, managing P&L operations across several technology markets. Building inclusive environments in which individuals and teams feel engaged and can thrive is a key quality that characterizes Agostino’s leadership style in the large teams he has led. Agostino Santoni is Member of The General Council of Assolombarda, The General Council of Anitec-Assinform, The Board of Directors of Confindustria Digitale and The Executive Committee and the General Council of Fondazione Fiera Milano.